Samsung phones have always been bitterly criticized for their plastic-infused build quality. Besides the lack of premium feel, most Samsung devices follow almost the same design language making all look pretty much similar. Before the launch the Galaxy S5, most of us expected the new phone to have a premium metallic look but the Korean OEM shocked all. Samsung seems to have learned now from its past mistakes and just to test what difference does premium looks bring in the sales, it has come up with a new phone the Samsung Galaxy Alpha. The Galaxy Alpha is the first Galaxy phone to ship with a shiny metal frame. However, there is nothing fresh about the design of this new phone as heavily resembles Apple’s iPhone. While Samsung has always been accused of allegedly drawing “inspiration” from Apple, we leave it to the users to decide whether they adore it or refuse as a mere degraded imitation! Anyway, the Samsung Galaxy Alpha brings a good balance of plastic and metal. The phone sports a 4.7-inch HD display with 720 x 1280 px resolution, 2GB RAM, 12MP main and 2.1MP front camera, 1860 mAh Li-Ion battery, and 1.8 GHz Quad-core processor. The device runs the latest Android 4.4.4 KitKat software conditioned with Samsung’s TouchWiz UX. 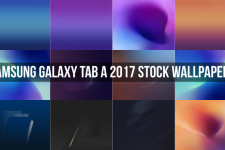 The Galaxy Alpha is not yet available in the market but if you saw its official promos and have been coveting to get its official wallpapers, we have them all for you today. The phone comes with nine HD wallpapers with 1280 x 1280 px resolution. 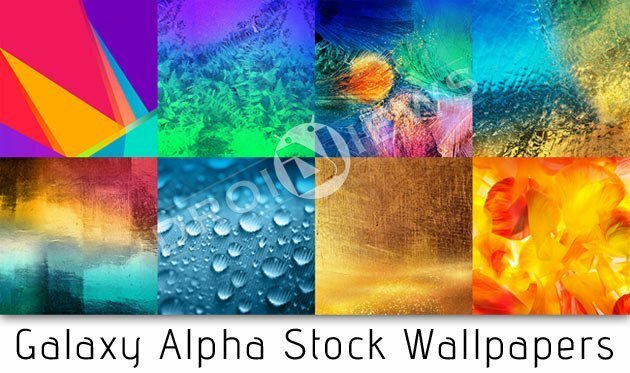 While most of the Galaxy Alpha stock wallpapers are new, you’ll also find an old wallpaper from the Galaxy S5. If you like the wallpapers shown in the preview above, just click our link below to get them all. 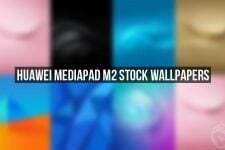 To download more wallpapers for your Android phone or tablet, do not forget to browse our huge Wallpaper Section.